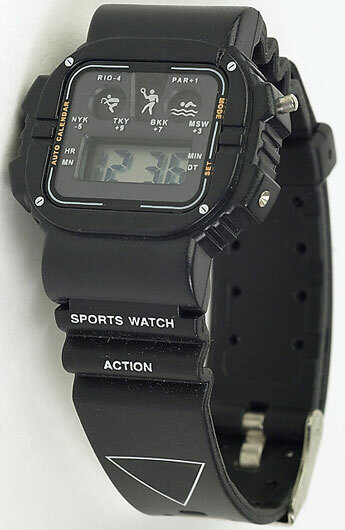 A black sports watch is photographed on a white background. The watch has a sturdy plastic face and a band made of black rubber. Materials such as rubber or webbing hold up better than metal or leather when exposed to water, sweat, and other elements encountered by the active athlete.